Bitter Lemon Press, 9781904738213, 186pp. 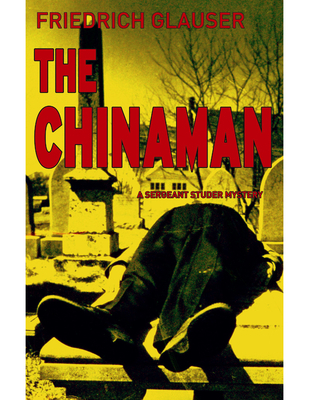 When, in later years, Sergeant Studer told the story of the Chinaman, he called it the story of three places, as the case unfolded in a Swiss country inn, in a poorhouse, and in a horticultural college. Three places and two murders. Anna Hungerlott, supposedly dead from gastric influenza, left behind handkerchiefs with traces of arsenic. One foggy November morning the enigmatic James Farny, nicknamed the Chinaman by Studer, was found lying on Anna's grave. Murdered, a single pistol shot to the heart that did not pierce his clothing. This is the fourth in the Sergeant Studer series. Friedrich Glauser is a legendary figure in European crime writing. He was a morphine and opium addict much of his life and began writing crime novels while an inmate of the Swiss asylum for the insane at Waldau. Diagnosed a schizophrenic, addicted to morphine and opium, Glauser spent the greater part of his life in psychiatric wards, insane asylums and prison. His Sergeant Studer novels have ensured his place as a cult figure in Europe. Mike Mitchell is a well-known translator of German works and the winner of a number of literary prizes. He has translated the other Studer novels as well.